Serious Host? - How to check? Serious Host? – How to check? Many web hosts boast of having an “own Internet network.” But how to distinguish truth from falsehood? Above all, does it mean to have its own Internet network? You’ve probably heard the term “web”. 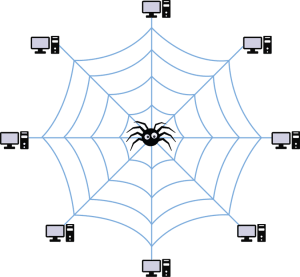 Indeed, the Web is often compared to a spider web! 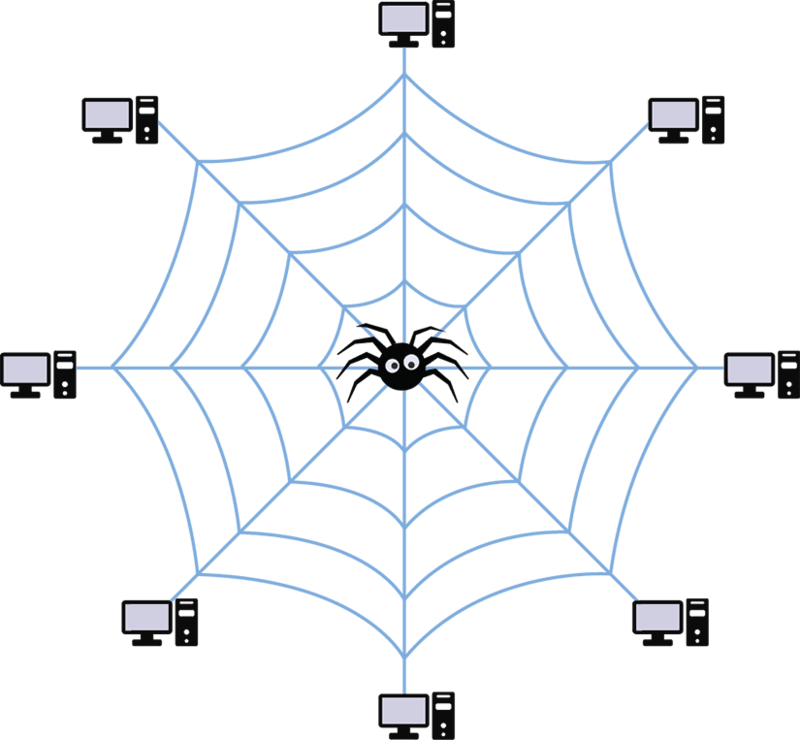 The Web is partially a combination of networks thus the reference to a spider web. Let’s try to sum this up without going into too much detail 🙂 An Internet network has a “unique number”. this is called an “Autonomous System”, abbreviated as AS. This allows a network to communicate with another using the BGP protocol. When a host has its own Internet network, this shows that it is serious and it is not a simple dealer! It generally has its own routers, its own servers etc. The customer is assured that the host manages to Z service without going through a third party. Generally, the end result is better for the customer. But how to know if a hosting company manages its own network and its own servers? It’s fine to have “its own network” but how to know if the network is quality or not !? Well, the beauty of the Internet is that it is difficult to hide! It is easy to dig deeper and know the details of a network. 1- Go http://bgp.he.net/ASXXXXX (replace ASXXXXX by that of the host in question). 2- You will see in the “Peers” the networks to which the host in question is connected. Usually networks here will be the “Internet providers” to the host in question (it allows the host to be connected to the Internet!). 3- The more the networks will be listed, the better. It means that the host is connected to many networks and logically the customer will be more stable (less interruption since there is redundancy! ), More speed (routers of the host will choose the road faster) and more! 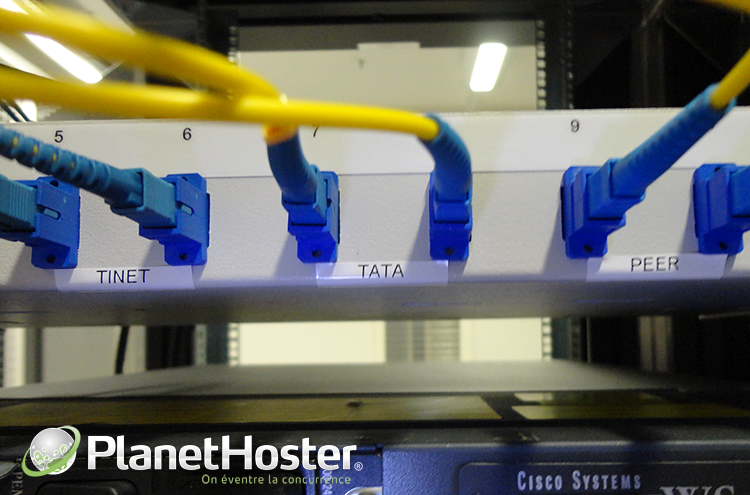 What distinguishes PlanetHoster to most of the “big” popular hosts who have, for the most part, their own datacenter and Internet? 2- We do a lot of peering in many exchanges on the Internet. 3- Our network is fully optimized to account for latency and packet loss through the intelligent platform Noction. 4- Our equipment is the latest generation (all connected via multiple 10Gbps links).